Judith A. Kopec, Administrative Law Judge (ALJ), Office of Administrative Hearings, Special Education Division, State of California, heard this matter on August 28 through 30, 2007, in San Juan Capistrano, California. Steven E. Lake, Attorney at Law, represented Capistrano Unified School District (District). Leisa Winston, Program Specialist for District, also attended. Ellen Dowd, Attorney at Law, represented Student. Student’s mother (Mother) also attended. Ms. Dowd and Mother left the hearing after Ms. Dowd presented an opening statement. No further appearance was made by or on behalf of Student or his parents (Parents). Neither Student nor Parents testified or presented any evidence. A Spanish language interpreter was present to assist Mother. On December 13, 2006, District filed a request for a due process hearing (complaint) concerning its reassessments of Student and its offer of FAPE at the October 17 and December 5, 2006 IEP team meetings, which is OAH Case Number 2006120443 (referred to as Student I). OAH issued a decision on June 29, 2007, finding that District prevailed on all issues. On August 13, 2007, Student appealed the decision to the United States District Court, Central District of California. District filed a complaint on June 19, 2007, which is the pending matter (referred to as Student II). On June 20, 2007, Student requested that OAH order District to attach to the complaint copies of the individualized education program (IEP) documents and behavior support plan that were at issue. Student contended that District refused to provide him copies of his educational records. OAH treated Student’s request as a notice of insufficiency under Title 20 United States Code section 1415(b)(2)(A). On June 26, 2007, OAH issued an order finding that District was not required to attach copies of the documents to the complaint, and denying Student’s challenge to the complaint. On June 25, 2007, Student requested that OAH issue a subpoena duces tecum for District to produce copies of his educational records. Student requested that OAH issue a subpoena instead of his attorney doing so “for purposes of enforcement.” In addition, Student requested that the hearing, which was scheduled for July 19, 2007, be continued. On July 3, 2007, Student requested that OAH issue an order requiring District to provide copies of his educational records. On July 5, 2007, OAH issued an order denying Student’s request for a subpoena duces tecum. The request was denied because Student did not show reasonable necessity for OAH to issue the subpoena, as required by California Code of Regulations, title 5, section 3082, subdivision (c)(2). The order also denied Student’s request for a continuance because good cause was not shown, as required by Education Code section 56505, subdivision (f)(3). OAH also ordered that the parties participate in a prehearing conference on July 13, 2007. On July 9, 2007, Student filed a motion to dismiss the complaint without prejudice, or in the alternative, to continue the hearing. Student contended that the complaint should be dismissed until he received copies of his educational records. Similarly, Student contended that if the complaint was not dismissed, the hearing should be continued until he received and reviewed the records. On July 10, 2007, OAH continued the July 19, 2007 hearing when it learned that Student did not receive the July 5, 2007 order. In addition, District filed a prehearing conference statement stating that the hearing would require more than the one day that was scheduled. On July 12, 2007, Student filed a motion for reconsideration of OAH’s order dated July 5, 2007, that denied Student’s request to continue the July 19, 2007 hearing. On July 13, 2007, Student filed a motion for reconsideration of OAH’s order dated July 5, 2007, that denied Student’s request that OAH issue a subpoena duces tecum. On July 19, 2007, OAH issued an order denying Student’s request for reconsideration of OAH’s order denying his request for a subpoena duces tecum. Student did not present any new facts, law, or changed circumstances to support the request for reconsideration. Student did not show a reasonable necessity for OAH to issue the subpoena duces tecum. District made copies of the records available to Student for the cost of reproduction, which District had authority to do. Student did not show any evidence that his parents were being prevented from receiving the copies. Student did not show that OAH had jurisdiction to determine whether the cost of reproduction effectively prevented his parents from receiving the copies under Education Code section 56504. On August 13, 2007, Student filed a notice of automatic stay of due process proceedings. Student contended that the appeal ofStudent I operated as an automatic stay of the proceedings in Student II. Student contended that his stay put rights in Student I prevented District from implementing the IEP and behavior support plan that are at issue in Student II, and also prevented OAH from hearing Student II. Student also contended that the only relief available to District was declaratory relief. Student contended that OAH had no jurisdiction to hear this matter, because OAH has no jurisdiction to award declaratory relief under California Code of Regulations, title 5, section 3089. On August 17, 2007, District filed a motion for determination of Student’s stay put placement. District contended that Student’s stay put placement was governed by the IEPs that were at issue in Student I because the circumstances have significantly changed since the date of the last agreed upon and implemented IEP, dated March 22, 2004. On August 20, 2007, OAH conducted a status conference. Mr. Lake and Ms. Dowd appeared. Student was given an opportunity submit a response to District’s motion for determination of a stay put placement and opposition to Student’s notice of automatic stay. On August 24, 2007, OAH issued an order denying Student’s request for a stay of the proceedings in Student II and denying District’s request for a determination of a stay put placement. No authority was found to support Student’s contentions that the appeal of Student I barred the hearing in Student II from proceeding, or that District was limited to only declaratory relief. No authority was found to support District’s contention that it was entitled to a determination of Student’s stay put placement. OAH also deferred any determination of Student’s stay put rights to the federal court hearing the appeal in Student I. During Student’s opening statement at the hearing in this matter, Ms. Dowd contended that she was ethically precluded from representing her client in the hearing because of District’s alleged failure to provide copies of Student’s records. Mother was offered an opportunity to request a continuance of the hearing to seek other representation. Mother responded that she did not want anyone else to represent her and Student in this matter. Ms. Dowd requested reconsideration of OAH’s order denying the automatic stay and finding jurisdiction for the hearing to proceed. Ms. Dowd contended that the reasoning in OAH’s order dated August 24, 2007, was incorrect. Ms. Dowd was allowed the opportunity to present her contentions, over District’s objection. The request for reconsideration was denied. Ms. Dowd also requested that the hearing record remain open so that she could submit a copy of a court ruling concerning an appeal of an unrelated OAH decision that a school district’s failure to provide educational records was a denial of a free and appropriate public education (FAPE). The request was denied. Ms. Dowd and Mother left the hearing. The hearing record remained open for the submission of written closing argument, which was received, and the record was closed on September 10, 2007. On September 21, 2007, Student submitted a request for reconsideration of the denial of his request to keep the record open for submission of a court order finding that a school district failing to provide educational records prior to a hearing denied the student a FAPE. Student attached a copy of the order of the Los Angeles County Superior Court that he wished to submit into the record. Student’s request for reconsideration is denied. Student provided no legal basis supporting the request, and none is found. Student had multiple opportunities to present legal and factual arguments supporting his contentions concerning his educational records. OAH repeatedly considered Student’s contentions and found them to be without legal basis. Student’s latest request does not provide any new or different facts, circumstances or law in support of reconsideration. Both the facts and the procedural posture of the Superior Court case are distinguishable. Student also contends that “in order to prevent a similar appeal and remand,” OAH should render a decision in this matter that District denied him a FAPE by failing to provide him copies of his educational records. Student provided no legal basis permitting him to seek, or OAH to issue, a decision in this matter with such a finding. 1. Did District offer Student appropriate supports and strategies to meet his behavioral needs in the March 26, 2007 behavior support plan? 2. Did District offer Student a FAPE in the May 30, 2007 individualized education program (IEP)? 1. Student is a 15-year-old boy currently in the ninth grade at District’s San Juan Hills High School (San Juan). He was first found eligible for special education services in the category of other health impaired when he was in the second grade in the Poway Unified School District. His family moved into the District during the 2003-2004 school year when Student was in fifth grade. He attended District’s Wagon Wheel Elementary School (Wagon Wheel) for fifth grade. He attended private schools for the sixth and seventh grades. 2. Student returned to the District in eighth grade and attended Las Flores Middle School (Las Flores) for the 2006-2007 school year. Student received special education and related services at Las Flores under a 30-day interim placement and later as a stay put placement once Parents disagreed with District’s offer. Consistent with the services Student received in fifth grade at Wagon Wheel, he was placed in collaborative classes in English and mathematics, and received one 30-minute “pull out” session of speech and language therapy each week, and 60 minutes of occupational therapy consultation services each month.1 A behavior support plan developed for Student when he was in fifth grade was also in place. 3. If an IEP team determines that a child’s behavior impedes his or her learning, or that of others, it must consider using positive behavioral interventions and supports, and other strategies to address the behavior. Behavior intervention includes behavioral instruction to produce improvement in the child’s behavior through skill acquisition and the reduction of the problematic behavior. Behavioral goals must be addressed in an IEP to the extent that the behaviors affect the child’s educational progress. 4. Melissa Primicias (formerly Melissa Wilson) conducted a psychoeducational reassessment in September 2006.2 As part of the reassessment, she administered two behavior rating scales to Parents and Student’s teachers: the Conner’s Rating Scale, Revised, Long Version, and the Behavior Assessment Scales for Children, Second Edition. The teachers’ responses did not indicate any areas of either developing or clinically significant behavior in the school setting. Parents’ responses identified areas of developing concern at home, such as hyperactivity, withdrawal, oppositional behavior, impulsive behavior, and emotional lability. Ms. Primicias determined that at the time of the reassessment, Student’s social and emotional functioning did not significantly impact learning, even though he may have had significant behavioral difficulties at home. 5. The IEP team met on October 17, 2006, to review Student’s 30-day interim placement and to begin his triennial review. Ms. Primicias presented her psychoeducational report to the team. District members of the IEP team determined that he did not need a behavior support plan because he was acting appropriately at school. 6. As the fall 2006 semester progressed, Student’s teachers noticed a change in his behavior. He was distracted, not following through on work assignments, being defiant, and socializing during classes. He began expressing anger and resistance to the instructional support he received. For example, he refused to fill out daily checklists required by his fifth grade IEP. Another IEP team meeting was conducted on December 5, 2006, and the team discussed Student’s behavior. District’s team members recommended that a behavior assessment be conducted. They also recommended a behavior support plan be developed to address the increase in Student’s behaviors that were impeding his learning. Parents did not consent to the behavior assessment. 1 A collaborative class is taught by a general education teacher with the full-time assistance of a special education teacher in the classroom. Both general education and special education students are enrolled in a collaborative class. “Pull out” services are provided in a setting other than the student’s classroom. 2 Ms. Primicias holds a master’s degree in school psychology and a pupil personnel services credential. She has been a school psychologist for District since 2005. Prior to this, she was a school psychologist for San Diego Unified School District for three and one-half years. 3 Dr. von Duering holds a master’s degree and a doctoral degree in education with an emphasis in school psychology. She also holds a clear pupil personnel services credential and is nationally certified by the National Association of School Psychologists. She has been a school psychologist with District since August 2003. 4 Ms. Riegert is a licensed occupational therapist and has been an occupational therapist for District for three years. 5 Ms. Steiner holds a master’s degree in communicative disorders, and a clinical rehabilitative services credential. She has been a speech and language pathologist for District since 1997. 6 Ms. Coppola holds a master’s degree in education with an emphasis in special education, and educational specialist instruction credentials in mild/moderate and moderate/severe disabilities. She has been a resource specialist with District since 2000. Ms. Coppola was Student’s special education case manager at Las Flores and was his resource teacher in his collaborative mathematics class. 7 All students in the District take the CORE test in mathematics in the fall and spring of each year to evaluate their progress over the course of the school year. 7. Another IEP team meeting was held on January 31, 2007, and the team discussed Student’s behavior and the proposed assessment plan. Parents consented to the assessment plan on that date. The plan provided for a social/emotional/adaptive behavior assessment to determine if there were any social/emotional concerns that significantly impacted Student’s learning. It also provided for a behavior evaluation to determine the behavioral difficulties that significantly impacted Student’s ability to learn and, if so, to determine their causes. 8. Dr. Rebecca von Duering performed the social/emotional and behavior assessment in March 2007.3 She reviewed prior assessments and reports, observed Student in a variety of educational settings, considered information received from his teachers, interviewed Mother, and employed several standardized assessment tools, including the Beck Depression Inventory, Second Edition, the Behavior Rating Inventory of Executive Function (BRIEF), the Behavior Assessment System for Children, Second Edition, and the Social Behavior Assessment Inventory (SBAI). 9. Mother was concerned that Student felt different from his peers, was angry, frustrated and depressed, and had low self esteem. She also believed that he had attention deficit hyperactivity disorder. Dr. von Duering found that Student did not exhibit low self esteem, depression, or attention deficit hyperactivity disorder. 10. Student’s results on the BRIEF, which evaluates attention processing, identified several areas of concern, including working memory, planning/organization, organizing materials, and task completion. The results on the SBAI, which evaluates specific social skills, identified three areas of concern: gaining attention, completing tasks, and quality of work. The BRIEF and SBAI both use rating scales that were completed by Parents and Student’s teachers. The areas of concern were identified by both Parents’ and teachers’ ratings, and were corroborated by qualitative information provided by school staff members. Dr. von Duering determined that some of Student’s behavior may be resulting from his negative feelings toward Parents and his desire to oppose what they want him to do. Regardless of the motivation for the behavior, Dr. von Duering identified three areas of behavior that impeded Student’s ability to learn: inappropriately gaining attention, not completing his school tasks, and not turning in quality work. 11. Dr. von Duering prepared a behavior support plan to address the three educationally significant behaviors she identified in her assessment: inappropriately gaining attention, not completing school tasks, and not turning in quality work. She gathered baseline data for each of the target behaviors regarding its frequency, duration and intensity; identified situations occurring before and after the behavior; and proposed possible reasons for the behavior. According to the behavior support plan, Student engaged in each of the behaviors one to 10 times per class period, each behavior lasted one to ten minutes, and each behavior was of moderate intensity. While this consistency among the three behaviors raises a question about the validity of the data, there is no evidence showing they are not accurate. 12. The behavior support plan indicates that Student engaged in each of the behaviors to avoid a task or activity, gain the attention of adults or peers, or to avoid a person. The plan notes that while Student rejected attention given to him by staff, particularly special education staff, he did not complete tasks or turn in quality work unless he was given individual attention. Replacement behaviors are identified, such as asking for help or an extension of time to complete an assignment. Reinforcements are suggested, such as early dismissal from class. The plan outlines several intervention strategies, including checking for understanding, providing choices, and prompting the expected behaviors. The plan requires that data be collected weekly and there be weekly communication between school staff and Parents. The plan establishes measurable criteria for each behavior to determine when the plan may be terminated. 13. An IEP team meeting was held on March 26, 2007, to discuss the behavior assessment and proposed behavior support plan. Dr. von Duering revised her behavior assessment report and behavior support plan at Parents’ request. The team, including Parents, agreed that the behavior support plan correctly identified the behaviors that impeded Student’s learning. The District team members recommended that an additional behavior goal be added to the IEP in the area of gaining attention, which is discussed in Factual Finding 46. Parents did not agree to the behavior support plan. 14. The March 2007 behavior support plan identified the behaviors that impeded Student’s learning as a result of the collection and evaluation of data from a variety of sources, including Student, Parents, teachers, and standardized assessment tools. The plan addressed the seeming inconsistency between Student’s tendency to inappropriately seek attention, not complete tasks, and not turn in quality work when adult attention was low, while at the same time consistently rejecting individual attention given to him by school staff, especially special education staff. The plan identified strategies that are reasonably expected to provide Student the skills necessary to reduce the problematic behaviors and improve his behavior. There is no evidence that Student engaged in any other behaviors that impeded his learning. The behavior support plan met Student’s unique needs in the area of behavior. 15. A school district must provide a program of special education and related services that meets the child’s unique needs and is reasonably calculated to provide some educational benefit. When determining whether the IEP provides a student a FAPE, it is evaluated as of the time it was developed. In addition to the substantive requirements of a FAPE, a school district must comply with the procedural requirements of the law. Specific people must participate in each IEP team meeting, including, among others, the parents and a special education teacher. An IEP must include statements of the child’s present levels of academic achievement and functional performance (present levels of performance); measurable annual goals; a description of how progress toward the goals will be measured; when periodic progress reports will be made; and the specific special education services, related services, supplementary services, and modifications that will be provided. 16. District conducted Student’s triennial review upon his return to the District in fall 2006. District performed psychoeducational, occupational therapy, academic, transition, and speech and language reassessments as part of the triennial review. Student was also reassessed for eligibility for community mental health services. 17. Karen Riegert conducted an occupational therapy reassessment in September and October 2006.4 Ms. Riegert determined that Student demonstrated average to superior skills in his written and typed abilities, visual-perceptual and visual-motor skills, and bilateral dexterity and coordination abilities. She also determined that he exhibited typical sensory processing patterns which enabled him to perform effectively in his educational setting. Ms. Riegert concluded that Student had no deficits requiring any occupational therapy services. 18. Lori Steiner performed Student’s speech and language reassessment in September 2006.5 Ms. Steiner provided speech and language services to Student under his IEP at Wagon Wheel, which identified pragmatics as an area of weakness. She determined that Student’s skills in the areas of articulation, voice and fluency were all age-appropriate. His scores on the Comprehensive Assessment of Spoken Language, including pragmatics, were within the average to superior ranges for his age. Ms. Steiner concluded that Student was not eligible for special education in the category of speech and language impairment, and did not require any speech and language services. 19. Melissa Primicias conducted a psychoeducational reassessment in September 2006. Student’s scores on the Weschler Abbreviated Scale of Intelligence indicated he was functioning within the superior range of cognitive ability. The results on the Woodcock-Johnson Test of Cognitive Abilities, Third Edition, indicated that Student functioned in the low to below average range in processing speed. Ms. Primicias recommended that Student be considered eligible for special education in the category of specific learning disability based on Student’s processing weakness, and a significant discrepancy between his level of cognitive functioning and his academic achievement in the area of mathematics. The IEP team met on October 17, 2006, to begin his triennial review. District members of the IEP team agreed with Ms. Primicias’s recommendation concerning eligibility. 20. The Orange County Health Care Agency, Behavioral Health Services (Orange County) assessed Student in November 2006 for community mental health services, which he had previously received from March 2004 to April 2005. 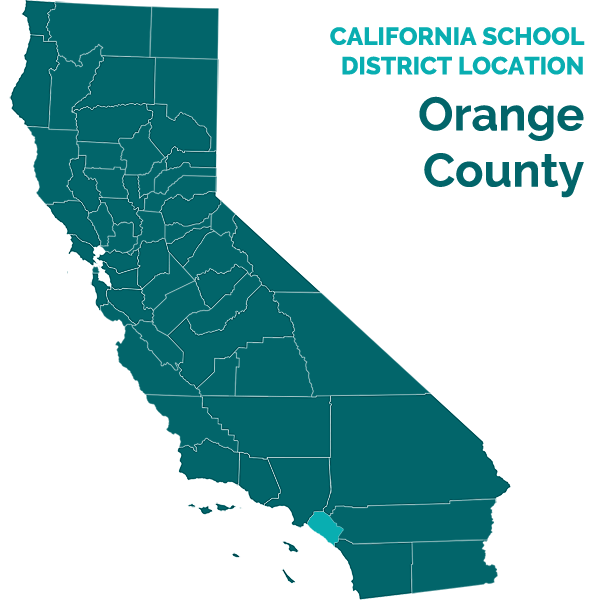 Orange County determined that Student did not exhibit signs of attention deficit hyperactivity disorder, or any mental illness that affected his ability to benefit from his special education program, and did not qualify for community mental health services. 21. Barbara Coppola conducted an academic reassessment in October 2006.6 Student’s results on the Woodcock Johnson III Tests of Achievement (WJ-III) indicated that his reading comprehension skills were in the very superior range, basic reading and written language skills were in the high average range, math reasoning and written expression skills were in the average range, and math calculation skills were in the low average range. The only area of academic deficit was in mathematics. 22. Ms. Coppola also conducted a transition plan assessment in October 2006. She administered the Career Decision-Making Inventory (CDM) and interviewed Student. The CDM explores a student’s interests in specific areas. Student’s highest score was in the arts. He was very interested in playing the drums and pursuing a career in music. Based on this assessment, Ms. Coppola prepared a transition plan identifying Student’s need to complete middle school and enter high school, start advocating for himself, and develop positive interactions with adults. Ms. Coppola also drafted three transition goals which were adopted at the October 17, 2006 IEP team meeting, as further discussed in Factual Finding 49. 23. An IEP team meeting was conducted on May 31, 2007, to discuss Student’s transition to high school. The meeting was attended by, among others, Parents and their attorney; Michele Knutsen, Student’s general education mathematics teacher; Barbara Coppola, Student’s special education mathematics teacher; Lori Steiner, Student’s speech and language therapist; Dr. von Duering, school psychologist; Karen Nelson, program specialist; and Janie Hoy, Assistant Principal at San Juan. Parents permitted Student to attend the meeting for about 20 minutes. All required participants attended the IEP team meeting. 24. District offered Student the program that had been developed and offered during the prior meetings in October and December 2006, and January and March 2007, adjusted for the class schedule at San Juan, the high school that Parents selected. The IEP includes three goals in each of the areas of mathematics, behavior, and transition. District offered Student placement in a collaborative algebra class and a directed resource study skills class. 25. District must provide special education and related services to meet each of a student’s unique needs, including academic, social, health, emotional, communicative, physical, and vocational needs. 26. As determined in Factual Finding 21, Student had an academic need in mathematics, particularly in the area of mathematical calculations. The results of a mathematics skills inventory identified specific deficits in the areas of fractions, decimals, and mathematical operations involving fractions. Student had no other needs in the area of academics. 27. As determined in Factual Finding 10, Student had needs in the area of behavior. He did not complete school tasks and assignments, did not gain the attention of others in appropriate ways, and did not perform quality school work. Student had no other needs in the area of behavior that affected his educational progress. 28. As determined in Factual Finding 22, the transition plan developed for Student in October 2006 identified his transition needs as completing middle school and entering high school, starting to advocate for himself, and developing positive interactions with adults. By May 2007, Student was well on his way to completing middle school. Student and Parents had decided that he would attend San Juan. Student no longer had a need for assistance with this aspect of his transition to high school. 29. As determined in Factual Finding 14, Student tended to reject the attention of teachers trying to help him with school work, while at the same time needing assistance in order to perform work consistent with his abilities. He needed to learn self-advocacy skills in order to benefit from the classroom, and prepare him for life-long learning. Similarly, Student needed to interact appropriately with different adults to benefit from school and life beyond. There is no evidence that Student had other transition needs. 30. As determined in Factual Findings 17 and 18, Student no longer had any needs in the areas of speech and language or occupational therapy. There is no evidence that Student had any other social, health, emotional, communicative, physical, or vocational needs. 31. An IEP must include a statement of the student’s present levels of performance that includes the manner in which the disability affects his participation in appropriate activities. An IEP that does not contain adequate present levels of performance or objective criteria may be cured if the required information was known to the parents and the IEP team members who developed the IEP. 32. Student’s present level of performance in mathematics describes his difficulty manipulating fractions and decimals. His baseline performance in mathematics was based on a math skills inventory. The IEP also includes interim benchmarks toward achieving each goal. The IEP includes adequate present levels of performance in the area of mathematics. 33. Student’s present level of performance in the area of behavior states that he was completing and turning in assignments in all of his classes except math. This neither accurately described Student’s work completion in May 2007, nor addressed all of his behavioral needs. Similarly, the baseline for work completion addressed his performance in mathematics in October 2006, when the first behavior goal was written, not his performance in May 2007. Warren Nagano, Student’s general education social sciences teacher, and Susan Smith, his special education English teacher, both testified that Student did not consistently turn in assignments, or turn in complete assignments. In addition, the March 2007 behavior support plan found that he did not submit complete tasks in three of his six classes. 34. The work completion goal includes an initial benchmark, but this does not constitute an adequate present level of performance. The first benchmark requires that Student complete and turn in assignments with one prompt 70 percent of the time. This creates the inference that Student completed and turned in assignments with one prompt less than 70 percent of the time. However, it does not identify whether this occured in all of his classes, or only some of them. The IEP team members, including Parents, were aware of Student’s failure to complete his assignments, as it was discussed at several IEP meetings. However, there is no evidence that the IEP team members had sufficient information concerning Student’s present level of performance concerning the completion of assignments. The IEP does not contain an adequate present level of performance concerning Student’s completion of assignments. 35. The IEP includes a baseline that Student had trouble gaining the attention of peers appropriately, which was based on the behavior assessment. This merely identifies an area of need; it does not provide any information concerning the nature or circumstances of the behavior. There is no evidence that the IEP team members had sufficient information concerning Student’s present level of performance in this area. The IEP does not contain an adequate present level of performance concerning Student’s need to appropriately gain the attention of others. 36. The IEP does not contain any present level of performance concerning Student’s need to turn in quality work. There is no evidence that the IEP team members had sufficient information concerning Student’s present level of performance in this area. 37. Student’s present level of performance in the area of transition to post-school activities states that he needs to complete middle school and enter high school. As determined in Factual Finding 28, this was not an area of need for Student in May 2007. This present level of performance is not adequate. 38. The IEP includes a baseline concerning Student’s need for self-advocacy indicating that he did not ask teachers for assistance when he did not understand concepts or procedures. This merely restates his need to develop skills in this area. There is no evidence that the IEP team members had sufficient information concerning Student’s present level of performance in this area. The IEP does not include an adequate present level of performance in the area of self-advocacy. 39. Student’s present level of performance in the area of positive problem-solving skills indicates that he did not always use positive problem-solving strategies with adults. It merely restates his need to develop skills in this area. There is no evidence that the IEP team members had sufficient information concerning Student’s present level of performance in this area. The IEP does not include an adequate present level of performance in this area. 40. An IEP must include a statement of measurable annual goals designed to meet the student’s needs resulting from the disability that enable the student to be involved in and made progress in the general curriculum, and that meet the student’s other educational needs that result from the disability. 41. District offered mathematics goals that were initially presented at the October 2006 meeting in the areas of fractions, decimals, and mathematical operations involving fractions. The goals were based on the mathematics content standards for seventh grade. Each of these goals is measurable. 42. District proposed goals in mathematics that met Student’s needs in the area of mathematics. The goals appropriately address Student’s need to develop proficiency with fractions, decimals and mathematical operations involving fractions so that he could progress to more advanced mathematics. 43. District offered Student behavior goals in the areas of completing his work assignments, completing his homework planner/agenda, and appropriately gaining the attention of peers. 44. The IEP includes two goals concerning Student’s needs in the area of completing work assignments. The first was added in October 2006 because Student was doing poorly in mathematics and was failing to submit assignments. The goal provides that Student will complete and turn in assignments with prompting 90 percent of the time. As determined in Factual Findings 33 and 34, the IEP does not contain an adequate present level of performance concerning Student’s work completion. Without an adequate present level of performance, it is difficult to determine if the goal adequately addressed Student’s needs or whether progress can be accurately evaluated. The goal does not include a clear standard by which it can be measured because it does not specify whether it applies to all of Student’s classes, or just some of them. There is no evidence that the IEP team members had sufficient information concerning objective evaluation criteria for this goal. This goal is not objectively measurable. 45. The second goal concerning Student’s need to complete his work provides that Student fill out his homework planner/agenda on a daily basis 95 percent of the time. This goal was added in December 2006 because Student began to show resistance to keeping an agenda. Parents requested a goal in this area because his failure to write down his assignments caused problems at home. The goal includes an accurate baseline. Student’s progress on this goal can be objectively measured. 46. The goal concerning Student’s need to appropriately gain the attention of peers was added in March 2007 because it was identified as a need in his behavior assessment. The goal provides that Student gain the attention of a peer by calling the peer by name and asking appropriate and relevant questions 90 percent of the time. This goal does not include a clear standard by which it can be measured because it does not identify when and where the behavior will be measured. There is no evidence that the IEP team members had sufficient information concerning objective evaluation criteria for this goal. This goal meets Student’s needs, but it is not objectively measurable. 47. The IEP does not include a goal concerning Student’s third need in the area of behavior, the need to perform quality work. Although the March 2007 behavior support plan addressed this area of need, the behavior support plan was not incorporated into the IEP. The IEP does not require that the behavior support plan be implemented for Student. Student needs the behavior support plan to meet his behavioral needs. 48. When a student turns 16 years of age, the IEP must include appropriate measurable goals concerning the transition to post-school activities. These goals must relate to the student’s training, education, employment, and, if appropriate, independent living skills. 49. Student does not turn 16 year of age until June 17, 2008. His next annual IEP is due on October 17, 2007. Nevertheless, the IEP team determined that he needed goals in the area of transition to post-school activities. District offered Student three transition goals that were initially presented in October 2006. The goals concern Student’s needs to identify a high school to attend, develop self-advocacy skills, and use positive problem-solving strategies with adults. 50. As determined in Factual Finding 28, Student did not have a need to identify a high school to attend in May 2007. While it may have been an appropriate goal for Student when initially presented in October 2006, it was unnecessary in May 2007. 51. The goal concerning self-advocacy requires Student to discuss difficulties he is having with his teachers. It requires him to go to his teachers and discuss any difficulties or needs in four of five trials. The goal seeks to develop a skill in Student that will assist him in his education and benefit him beyond high school. As determined in Factual Finding 38, the IEP does not include an adequate present level of performance. The goal does not include a clear standard by which it can be measured because it does not specify whether it applies to all of Student’s classes, or just some of them. In addition, it is not clear how staff will determine when Student did not ask for assistance. There is no evidence that the IEP team members had sufficient information concerning objective evaluation criteria for this goal. The goal is not objectively measurable. 52. The goal concerning problem-solving strategies requires Student to develop and use positive problem-solving strategies when interacting with adults with 80 percent accuracy in three of four opportunities. Learning to respond appropriately to adults in a variety of situations is a skill that will assist Student’s transition to life after school. As determined in Factual Finding 39, the IEP does not include an adequate present level of performance. The goal does not include a clear standard by which it can be measured. It is unclear what “80 percent accuracy in three of four opportunities,” means when evaluating positive problem-solving strategies with adults. There is no evidence that the IEP team members had sufficient information concerning objective evaluation criteria for this goal. The goal is not objectively measurable. 53. The IEP includes a description of the manner in which progress toward each of the goals will be measured. The methods include observation, work samples and curriculum-based assessment, or some combination of these. In addition, the IEP includes a statement that a pupil’s parents will be informed of the pupil’s progress toward goals at least as often as parents are informed of the progress of pupils without disabilities. The IEP complies with the legal requirement to include these two elements. 54. A child with a disability must be educated with children who are not disabled to the maximum extent appropriate. When determining whether a placement is the least restrictive environment for a child, four factors are evaluated and balanced: the educational benefits of placement in the less restrictive environment, the non-academic benefits of placement in the less restrictive environment, the effect the presence of the child with a disability has on the teacher and children in the less restrictive environment, and the cost of placing the child in the less restrictive environment. 55. District offered Student a collaborative algebra class taught by a general education teacher with the full-time assistance of a special education teacher in the classroom. Both general and special education students attend a collaborative class. At the May 2007 IEP team meeting, Parents requested that Student be placed in a pull out special education algebra class, which is a more restrictive environment than the collaborative class. 56. There is no evidence that Student requires a pull out special education algebra class to meet his needs. Student was successful in the collaborative pre-algebra class at Las Flores. Student received grades of A and C- in pre-algebra in the academic quarters prior to the May 2007 IEP. Student’s results on District’s yearly mathematics assessment, Capistrano Objectives for Reaching Excellence (CORE), showed an improvement of 10 points over the course of the school year.7 An increase of four or five points is generally considered very good. Not only does Student not require the intensive instruction in a special education pull out mathematics class, it may impede his learning. Student responds negatively to being singled out for attention in the classroom and does not like receiving special education services. There appears to be a correlation between Student’s negative classroom behaviors and his receiving increased attention as a result of special education and related services. The collaborative mathematics class allows him to be in a general education setting while also receiving additional assistance, including small group or individual instruction, that he needs to address his deficits in the area of mathematics. The collaborative algebra class will allow Student to advance appropriately toward attaining his goals in mathematics, be involved in and make progress in the general education curriculum, and be educated and participate with peers who do not have disabilities. The collaborative math class is the least restrictive environment for Student. 57. District offered Student a resource class in study skills. It is a directed, small group class taught by a special education teacher that teaches organizational skills and study habits. This class will allow Student to advance toward attaining his behavior goal to use his homework agenda, and to make progress in the general curriculum. It will also assist Student to develop skills to complete homework assignments. 58. Parents requested that Student be provided extended school year services. The IEP team discussed the request, but the consensus of the District’s members was that Student did not need extended school year services. There is no evidence that Student requires these services to maintain progress on his goals or to prevent regression of skills, or that he is unable to recoup skills in the same amount of time that his general education peers do. 59. District offered Student extra time, up to one additional week, without penalty to complete assignments or take tests in all curricular areas. District also offered Student the use of visual graphic organizers for essays or projects as needed. There is no evidence that Student required any additional modifications. 60. There is no evidence that Student requires any other special education services to meet his unique needs. As determined in Factual Finding 21, Student’s reassessments did not identify that he had any other academic deficits. His skills in the areas of reading comprehension, reading skills, written language and written expression range from very superior to average. He received passing grades in all subjects during the second half of the school year. 61. District did not offer Student any related services. As determined in Factual Findings 17 and 18, Student’s reassessments determined that he did not have any deficits and did not require any services in the areas in which he had previously received services, speech and language or occupational therapy. There is no evidence that Student requires any related services to benefit from his education. Did District offer Student appropriate supports and strategies to meet his behavioral needs in the March 26, 2007 behavior support plan? 6. As determined in Factual Findings 11 through 14, District conducted a behavior assessment and developed a behavior support plan after Student’s behavior began to deteriorate at the end of 2006. Dr. von Duering conducted the behavior assessment by gathering and considering both quantitative and qualitative data from a variety of sources, including Student, Parents, and teachers. The behavior support plan addressed the three behaviors that impeded Student’s learning: inappropriately gaining attention, not completing school tasks, and not turning in quality work. The plan identified strategies that were reasonably expected to provide Student the skills necessary to reduce the problematic behavior and improve his behavior. The March 2007 behavior support plan met Student’s needs in the area of behavior. Did District offer Student a FAPE in the May 30, 2007 IEP? 11. The IEP team is composed of the parents of the child with a disability; at least one of the child’s regular education teachers if the student is or may be participating in the regular education environment; at least one of the child’s special education teachers or, if appropriate, at least one of the child’s special education providers; a representative of the school district who meets specific requirements; a person who can interpret the instructional implications of evaluation results; other persons who have knowledge or special expertise regarding the student, at the discretion of the parent or school district; and the child, whenever appropriate. (20 U.S.C. § 1414(d)(1)(B); 34 C.F.R. § 300.321 (a); Ed. Code, § 56341, subd. (b).) As determined in Factual Finding 23, all necessary IEP team members participated in the May 30, 2007 meeting. 14. As determined in Factual Finding 26, Student has unique academic needs in mathematics in the areas of fractions, decimals and mathematical operations involving fractions. As determined in Factual Findings 41 and 42, the May 2007 IEP includes measurable goals based on adequate present levels of performance for the mathematics goals. District’s offer of a collaborative math class allows Student to receive instruction from general education teacher with general education peers while also receiving the individualized instruction from a special education teacher with special education peers. Student benefited from being in a collaborative math class during eighth grade. The mathematics goals and offered placement met Students needs in the least restrictive environment, and was reasonably calculated to provide educational benefit. 15. As determined in Factual Finding 27, Student has behavioral needs in the areas of completing assignments, appropriately gaining the attention of peers, and performing quality work. As determined in Factual Findings 44 and 45, District offered two goals concerning the completion of assignments. One goal, requiring Student to complete assignments 90 percent of the time, was not based on an accurate present level of performance and is not objectively measurable. The second goal, requiring Student to fill out his homework agenda on a daily basis, had an accurate baseline and is objectively measurable. The deficiencies in the first goal are significant. With neither a clear statement of Student’s present level of completing work assignments, nor a specific description of what is to be measured, effective implementation and evaluation of the goal rests with the discretion of District staff. There is no evidence that the IEP team members were aware of and agreed to objective evaluation criteria for this goal. Because of this, there is a significant risk that Student will not educationally benefit. Although the goal involving Student’s homework agenda is an appropriate and measurable goal, it alone does not meet Student’s significant need to complete his homework assignments. 16. As determined in Factual Finding 46, District offered one goal concerning Student’s need to appropriately gain the attention of peers. The goal was not based on an adequate present level of performance and was not objectively measurable. There is no evidence that the IEP team members were aware of and agreed to objective evaluation criteria for this goal. There is a significant risk that Student will not educationally benefit. 17. As determined in Factual Finding 47, the IEP does not include a goal concerning Student’s need to perform quality work and the IEP does not require that the behavior support plan be implemented. Student required implementation of the behavior support plan in order to meet his behavior needs. 18. As determined in Factual Finding 57, District’s offer of a resource class in study skills will assist Student in attaining his behavior goal to consistently use his homework agenda and to develop skills to complete his assignments. Since District’s IEP team members proposed a goal in the area of completing assignments, they determined that the study skills class alone was not adequate to completely meet Student’s need in the area of completing his work assignments. 19. The May 2007 IEP did not include appropriate measurable goals in the area of behavior, did not require implementation of a behavior support plan, and did not provide adequate special education services to meet Student’s needs in the area of behavior. 21. As determined in Factual Finding 49, although District was not required to provide transition goals for Student in the May 2007 IEP, it did so. After determining that Student required transition goals in his IEP, District was required to comply with the requirements for those goals. 22. As determined in Factual Finding 22, Student had transition needs concerning self-advocacy and developing positive interactions with adults. As determined in Factual Finding 51, District offered one goal concerning self-advocacy that requires Student to go to his teachers and discuss any difficulties he has. The goal was not based on an adequate present level of performance and was not objectively measurable. There is no evidence that the IEP team members were aware of and agreed to objective evaluation criteria. There is a significant risk that Student will not educationally benefit. 23. As determined in Factual Finding 52, District offered one goal concerning problem-solving strategies that required Student to develop and use positive problem-solving strategies when interacting with adults. This goal was not based on an adequate present level of performance and was not objectively measurable. There is no evidence that the IEP team members were aware of and agreed to objective evaluation criteria. There is a significant risk that Student will not educationally benefit. 24. As determined in Factual Finding 29, there is no evidence that Student needs to develop independent living skills. District did not offer appropriate measurable goals to meet Student’s needs in the area of his transition to postsecondary activities. 26. As determined in Factual Findings 58 through 61, there is no evidence that Student requires additional special education services, including extended school year services, program modifications, or related services to meet his needs or to allow him to benefit from his education. 27. As determined in Legal Conclusions 15 through 19 and 22 through 24, the May 30, 2007 IEP did not meet Student’s needs in the areas of behavior and transition. The IEP was not reasonably calculated to provide educational benefit to Student. 1. District offered Student appropriate supports and strategies to meet his behavioral needs in the March 26, 2007 behavior support plan. 2. District did not offer Student FAPE in the May 30, 2007 IEP. Education Code section 56507, subdivision (d), requires a decision to indicate the extent to which each party prevailed on each issue heard and decided. District prevailed on Issue 1. Student prevailed on Issue 2.